For 2-4 players, ages 3 and up. 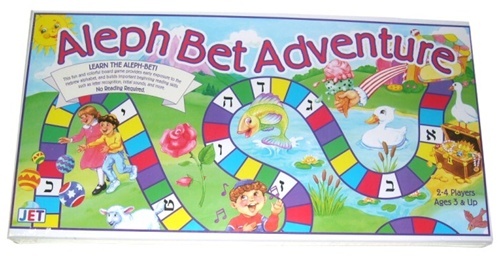 This fun board game provides early exposure to the aleph bet and builds skills such as letter recognition. It does not require reading ability.